A part loft conversion is the ‘skeleton’ of a loft conversion, involving the installation of stairs, flooring and structured walls. 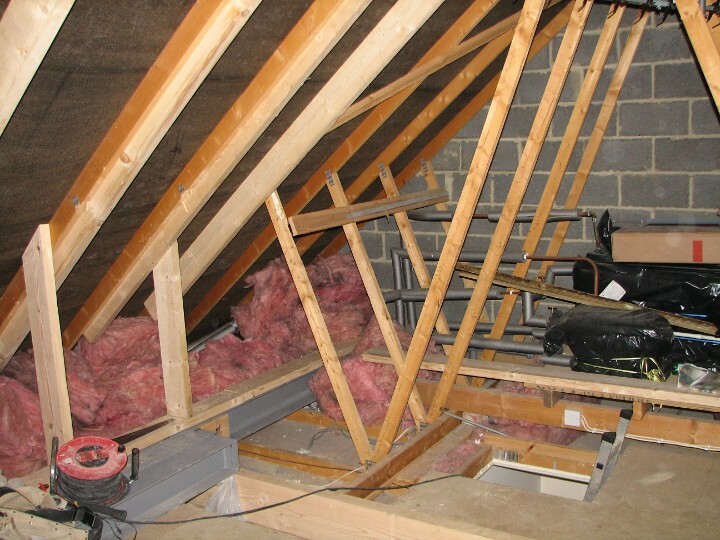 This structural work forms the base of your loft conversion, which you are then free to carry on yourself! Whatever you plan to use your new space for, a partial loft conversion can save you a significant amount of money while providing you with complete reassurance that the job has been completed to a high standard. If you’re confident in DIY and have plenty of time to complete the job, a part loft conversion could be perfect for you! Doing a loft conversion yourself will save you plenty of cash and, after the initial structural work has been carried out, there’ll be no need to worry about builders and contractors in your home. Though it might be quicker for professionals to complete a loft conversion, you’ll save on labour costs and can dedicate as much time as you want to the project when it suits you. You could always call on friends and family to help out! When carrying out a part loft conversion yourself you’ll have a much better idea of how you’re going to use the space. Though you’ll already know what you’re going to use for, creating the room yourself will give you a better understanding of where to place plug sockets, light fittings, how you want the furniture to be set out etc. The sense of accomplishment when the project is complete is brilliant too! Most loft conversions are classed as permitted development and will not require planning permission. However, building regulations will probably be required. This ensures that the changes to the property structure are safe. Creating a liveable space (space that will be used as a regular part of your home such as a bedroom, bathroom, office or playroom) out of an ordinary loft is likely to require a number of alterations, some of which we’ve listed below. Be sure to properly check out building regulations requirements and other legislation which may affect you before starting your part loft conversion. Your existing joists may need replacing for stronger ones to cope with the extra weight and load of the new room. Similarly, the foundation of your home may be affected by the additional weight in your attic, so the adequacy needs to be checked. You’ll also need to consider how the load of your new room will be supported throughout your property. Floor joists are generally supported by walls that run right through to the bottom of the property, but if you’ll be adding new ones you need to ensure that any wall supporting them is adequately supported. This is required as part of the building regulations, though in semi or terraced properties the party wall may require added insulation to ensure adequate sound proofing. These are just a few examples of work that may need carrying out, but if you choose Interloft for help with your part loft conversion we’ll be more than happy to assist you in all of the above and much more. We never work with sub-contractors so you can be assured of a fantastic service every time, and we have over 15 years’ experience in the industry so we definitely know our stuff when it comes to loft conversions! Call 0800 999 4034 for a no obligation part loft conversion quote today – there’s nothing to lose!